Grease and flour (or line with parchment paper) a 13×9 pan, and set aside. In a large bowl, combine melted butter, sugar, and milk. Add in eggs, stir until combined. In a separate bowl, combine flour, baking powder, cream of tartar and salt. Stir into the butter mixture until combined. Pour batter into prepared 13×9 pan. 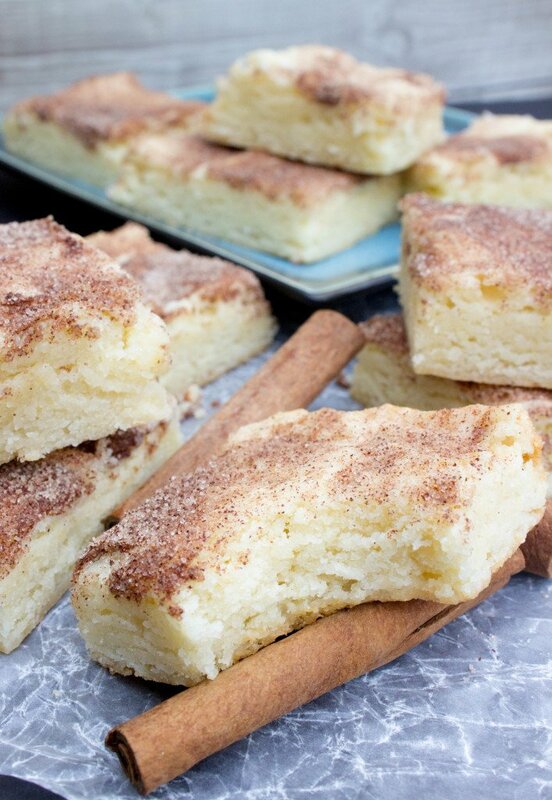 In a small bowl, combine 2 Tablespoons sugar and 1½ teaspoons cinnamon. Sprinkle over the batter in the pan. Bake on 350F for 25-28 minutes.